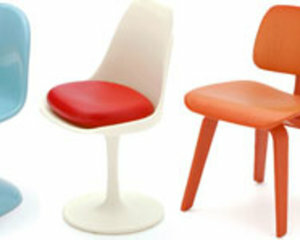 Mini Designer Chair Collection Vol. 1 realizes the dream of those who are fantasized by the world-class design of beautiful and comfortable chairs but don’t have too much budget or space to collect them all. Being only 1/12 the size of real designer chair, the mini designer chairs are not at all less attractive but even more lovely and delicate. The current collection stresses on the combination of refreshing colors and artistic designs with curves which fit human bodies so well. Loyal to original designs, Mini Designer Chair Collection wins hearts of people all over the world who pursue modern and exquisite lifestyle. For these designer chair lovers, few other things please them more than appreciating the whole set of designer chair collection while sitting on a real one he/she loves most.